Each Supplemental WorkText covers a specific group of math concepts from several grade levels. 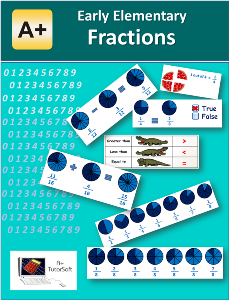 Each WorkText is designed to assist those students who may have gaps in particular areas of MATH, such as multiplication, division or fractions. In addition to concept reviews, which are concise with "to-the-point" explanations, it also contains Worksheets and Worksheets Answer Key for selected subject areas. The worksheets allow extra practice with problem solving to further enhance student's understanding of the MATH concepts. Students may use the space provided under each problem on the worksheets to show their work.